Would like to call attention to an ALCOAST that solicits names for future Coast Guard cutters which I have reproduced at the end of the post. It refers specifically to naming cutters for people but I have to believe they will consider names of previous cutters for the Offshore Patrol Cutters as well. Of the planned 58 Webber class WPCs, 54 have been named. That leaves at least four to be named, plus an additional six if they are built additional boats to replace the 110s in Bahrain. Of the 25 Offshore Patrol Cutters, only eleven names have been identified. Of the Bertholf class “National Security Cutters”, only nine names have been identified for the eleven funded, with the possibility of a twelfth, opening the possibility of two or three names. Newcomb, Frank H, captain of the cutter Hudson when it rescued the Navy torpedo boat Winslow. The man was so respected the Navy named a destroyer after him. That destroyer managed to torpedo a Japanese battleship at the Battle of Surigao Strait and subsequently survived five Kamikaze hits. 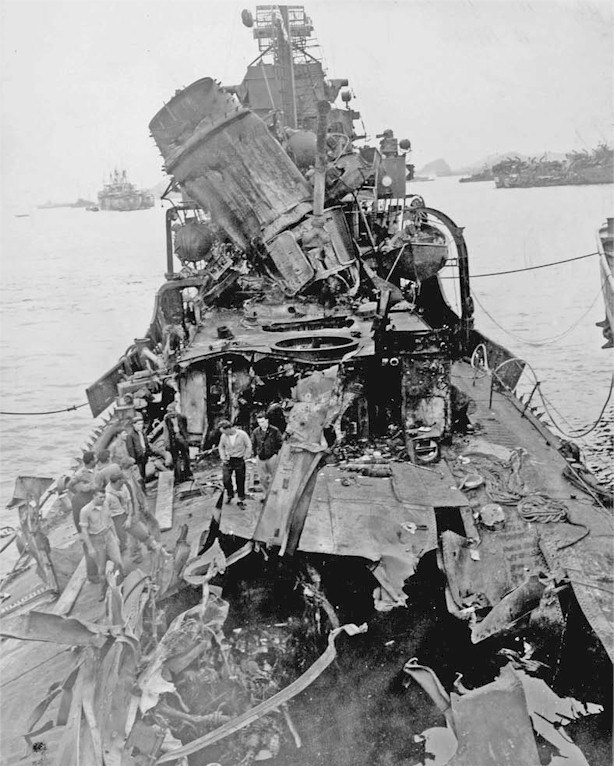 USS Newcomb (DD-586), awarded eight battlestars, was struck by five Kamikazes off Okinawa, but survived. CROTTY, Lt Thomas James Eugene, WWII, Mine warfare expert. Captured by the Japanese on Corregidor and died in POW Camp. 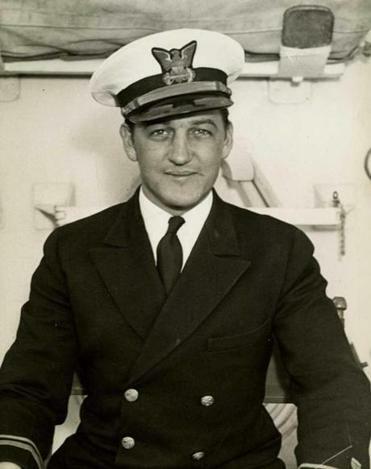 WALSH, Quentin R., CDR, (Retired as Captain) USCG, Navy Cross, For heroism as Commanding Officer of a U.S. Naval party reconnoitering the naval facilities and naval arsenal at Cherbourg June 26 and 27, 1944. While in command of reconnaissance party, Commander Walsh entered the port of Cherbourg and penetrated the eastern half of the city, engaged in street fighting with the enemy. He accepted the surrender and disarmed 400 of the enemy force at the naval arsenal and later received unconditional surrender of 350 enemy troops and at the same time released 52 captured U.S. Army paratroopers. There are a whole slew of candidate names listed here. 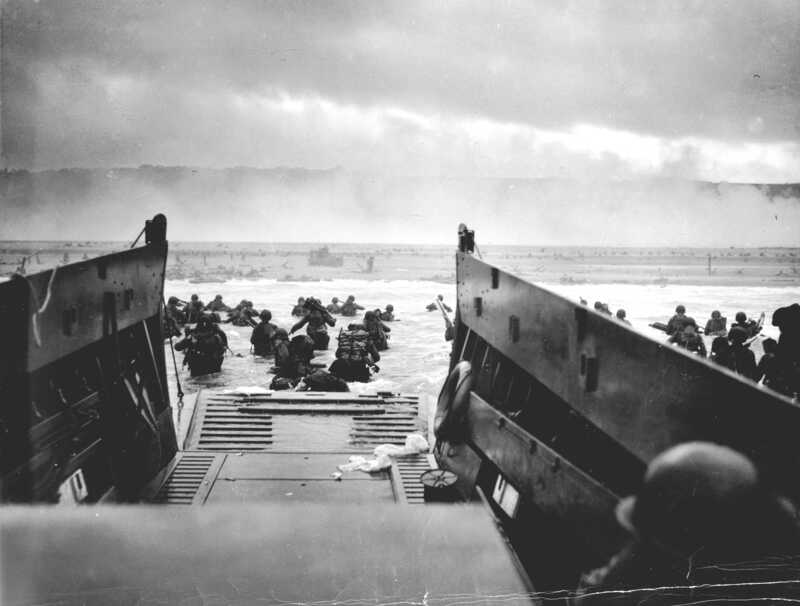 A LCVP (Landing Craft, Vehicle, Personnel) from the U.S. Coast Guard-manned USS Samuel Chase disembarks troops of Company E, 16th Infantry, 1st Infantry Division (the Big Red One) wading onto the Fox Green section of Omaha Beach (Calvados, Basse-Normandie, France) on the morning of June 6, 1944. American soldiers encountered the newly formed German 352nd Division when landing. During the initial landing two-thirds of Company E became casualties. I urge you to respond with your recommendations. It certainly would not hurt for the board to see the same name(s) recommended more than once. 1. The Coast Guard is recapitalizing its cutter fleet, continuing a process now entering its second decade. Each new cutter requires a name. 2. The Standing Board for the Naming of Cutters and Shore Facilities is soliciting nominations for worthy names of these new cutters. The Naming Board requests submissions from across the spectrum of Coast Guard stakeholders, including active, reserve, auxiliary, civilian, retired, family members, commercial maritime industry, and port partners. 4. Such namesake submissions should have distinguished themselves and brought great credit upon the service by their actions. Others may have served as important leaders or as significant role models, path-reakers or trailblazers for those who might otherwise be underrepresented. The Naming Board encourages the submission of possible namesakes from across the spectrum of Coast Guard history, to include the junior ranks and less well known figures in Coast Guard history who have made important contributions to the service. 5. The Naming Board looks for submissions that will resonate with today’s Coast Guard personnel. Prospective cutter names should represent the diversity of our service and our rich heritage. 6. Please submit your nominations to Mr. Joshua Buck at Joshua.M.Buck@uscg.mil. Your nomination should include the individual’s name and a brief narrative summary of why you believe the individual would merit this honor. Please limit the summary to one page. The deadline for submissions is October 31, 2018. 7. The Naming Board encourages those who have already submitted names to resubmit their nominations for this latest cutter naming effort under this ALCOAST. 8. The Naming Board will publish a list of all names submitted in a future ALCOAST. Names not selected for the latest round of new cutters will be kept on file for future use. 12. RDML Melissa Bert, Director of Governmental and Public Affairs, sends. This entry was posted in FRC, national security cutter, NSC, Offshore Patrol Cutter, OPC by Chuck Hill. Bookmark the permalink. CGC AARON BURR JR….permenantly exempted from the coast guard practical pistol course.